Do some cultural sightseeing at Schloss Nymphenburg and Munich Residenz. You'll explore and learn at Alte Pinakothek and Deutsches Museum. Next up on the itinerary: explore the world behind art at New Pinakothek, stroll around English Garden, see the interesting displays at BMW Welt, and don't miss a visit to Marienplatz. For photos, maps, and more tourist information, go to the Munich trip planner . Curitiba, Brazil to Munich is an approximately 20-hour flight. You can also do a combination of flight and train; or do a combination of bus and flight. Traveling from Curitiba to Munich, you'll lose 4 hours due to the time zone difference. Traveling from Curitiba in July, you will find days in Munich are somewhat warmer (29°C), and nights are about the same (15°C). Finish your sightseeing early on the 12th (Sun) to allow enough time to drive to Hohenschwangau. On the 13th (Mon), step into the grandiose world of Schloss Hohenschwangau and then explore the historical opulence of Neuschwanstein Castle. For other places to visit, where to stay, and other tourist information, read Hohenschwangau trip planning site . You can drive from Munich to Hohenschwangau in 2 hours. Alternatively, you can take a train; or take a bus. In July, daily temperatures in Hohenschwangau can reach 27°C, while at night they dip to 14°C. Wrap up your sightseeing by early afternoon on the 13th (Mon) to allow enough time to drive to Nuremberg. Get some historical perspective at Kaiserburg Nurnberg and Albrecht Durer's House. Satisfy your inner culture vulture at Germanisches Nationalmuseum and St. Lorenz Church. There's still lots to do: stroll the grounds of Rochusfriedhof, see the interesting displays at Nuremberg Toy Museum (Spielzeugmuseum), contemplate the long history of Nuremberg Palace of Justice, and pause for some serene contemplation at St. Sebaldus Church. To see more things to do, ratings, maps, and other tourist information, go to the Nuremberg tour itinerary builder . Traveling by car from Hohenschwangau to Nuremberg takes 3 hours. Alternatively, you can take a train; or take a bus. In July in Nuremberg, expect temperatures between 30°C during the day and 15°C at night. Cap off your sightseeing on the 16th (Thu) early enough to go by car to Wurzburg. Start off your visit on the 17th (Fri): get engrossed in the history at Reichsstadtmuseum, steep yourself in history at Siebers Tower, take a stroll through Old Town, then examine the collection at Medieval Crime Museum (Mittelalterliches Kriminalmuseum), then contemplate in the serene atmosphere at St. Jacob's Church (St. Jakobskirche), and finally contemplate the long history of Town Walls. On the 18th (Sat), you'll have a packed day of sightseeing: contemplate the long history of Schloss Veitshöchheim, explore the historical opulence of Marienburg Fortress, take in the spiritual surroundings of St. Michael's Church, then explore the historical opulence of Würzburg Residence, and finally pause for some serene contemplation at Neumunster. 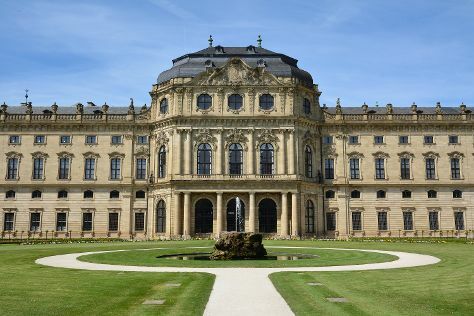 To find maps, photos, other places to visit, and more tourist information, read our Wurzburg online tour itinerary planner . You can drive from Nuremberg to Wurzburg in 1.5 hours. Other options are to take a train; or take a bus. July in Wurzburg sees daily highs of 30°C and lows of 14°C at night. Wrap up your sightseeing on the 18th (Sat) to allow time to take a train to Cologne. 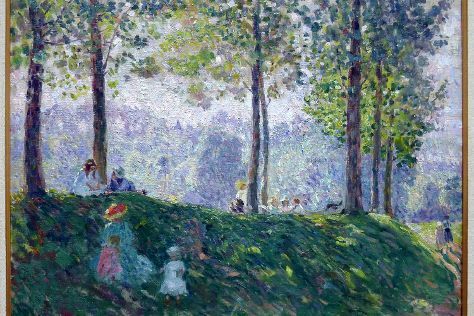 On the 19th (Sun), explore the world behind art at Wallraf-Richartz Museum, then admire the striking features of Cologne Cathedral, and then explore the world behind art at Museum Ludwig. To see more things to do, traveler tips, where to stay, and more tourist information, you can read our Cologne trip itinerary builder tool . You can take a train from Wurzburg to Cologne in 2.5 hours. Alternatively, you can drive; or do a combination of train and flight. In July, daily temperatures in Cologne can reach 29°C, while at night they dip to 16°C. Finish your sightseeing early on the 19th (Sun) to allow enough time to travel to Berlin. 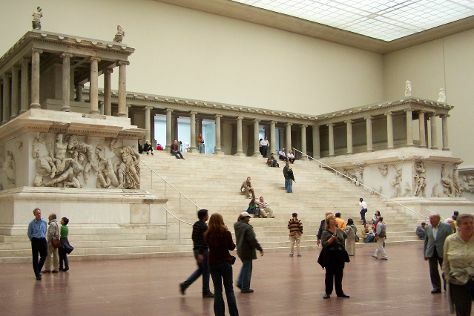 Do some cultural sightseeing at Pergamonmuseum and Topography of Terror. Your inner history buff will appreciate East Side Gallery and Memorial of the Berlin Wall. There's lots more to do: admire the landmark architecture of Reichstag Building, appreciate the history behind Brandenburg Gate, steep yourself in history at Charlottenburg Palace, and take in the local highlights with Walking tours. For traveler tips, more things to do, photos, and other tourist information, you can read our Berlin trip builder app . You can fly from Cologne to Berlin in 3 hours. Other options are to do a combination of train and flight; or drive. Wrap up your sightseeing on the 22nd (Wed) to allow time to take a train to Hamburg. 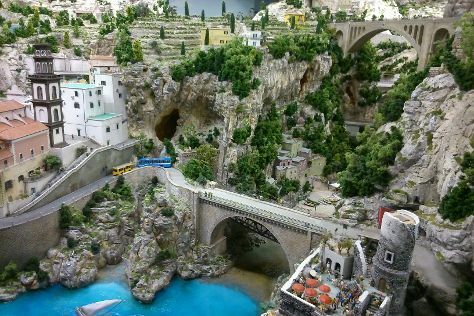 Kick off your visit on the 23rd (Thu): admire the masterpieces at Kunsthalle Hamburg and then make a trip to Miniatur Wunderland. For other places to visit, more things to do, reviews, and tourist information, use the Hamburg trip maker site . Getting from Berlin to Hamburg by train takes about 2 hours. Other options: drive; or take a bus. Expect a daytime high around 27°C in July, and nighttime lows around 15°C. On the 24th (Fri), you'll have the morning to explore before heading back home.